There are three weeks left in the season and every team Grand Rapids Ole is still mathematically alive in the hunt for a spot in the top two of their divisions. Ole and Madison 56ers both picked up their first wins of the season over a truncated holiday weekend in the Premier League of America. 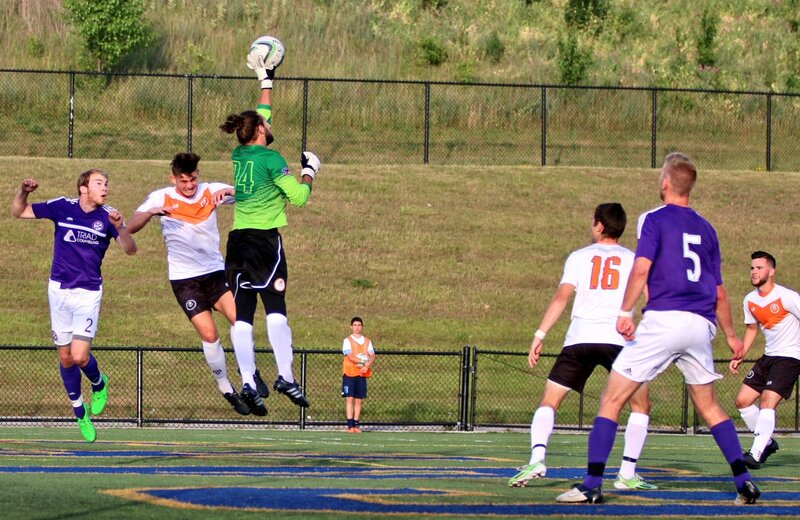 Toledo United went top of the East with a draw against Carpathia and a win over Oakland County. RWB Adria is still in control of the East, sitting just a point behind Toledo with two games in hand. Note: All PLA teams qualify for the postseason tournament, but only the top two teams in each division are eligible to play for the PLA Championship. The two teams battling RWB Adria for the top two spots in the East came away with a point each on Wednesday night. Ryan McDonald put Toledo on the board first in the 11th minute, heading a crossed ball off the crossbar and into the net. The 23rd minute saw Carpathia draw level when Colin Helmrich volleyed home on another cross. Shortly after the start of the second half, Toledo’s Jake Martin was shown a red card for a scuffle which also led to the ejection of both head coaches. Carpathia looked as though it had the winner in the 78th minute when Tommy Catalano’s breakaway goal put his team up 2-1, but Toledo was not finished. A 96th minute throw from United took some deflections and was headed home by McDonald for his second of the night and a very important point on the road. Grand Rapids finally tallied its first win of the season with a 1-0 away win over an Aurora team that were better on the night but couldn’t find the net. The majority of chances went to the home side, but a defensive miscue in the 34th minute led to a Grand Rapids goal. Aurora made the goalkeeper work for the rest of the game and made the defensive Ole nervous with two late shots off the crossbar. The hosts never broke through however, and Grand Rapids held on for the first points of their season. The win means Ole is still technically alive in the hunt for a top two spot in the East. Madison nearly wasted a very early lead but came back to win its first game of the season and keep very slim playoff hopes alive. Abdul Kooistra’s 3rd minute goal off a corner put the hosts up 1-0. The lead lasted less than 20 minutes however, as Boubacar Sylla converted a penalty to draw Croatian Eagles level. The visitors took the lead in the 30th minute when Andrew Wiedabach nodded in a cross from Cheikh Drame. That scoreline stuck until the 52nd minute when Alfredo Ramirez-Pinho capitalized on a Croatian Eagles defensive mistake to tie the game at 2-2. 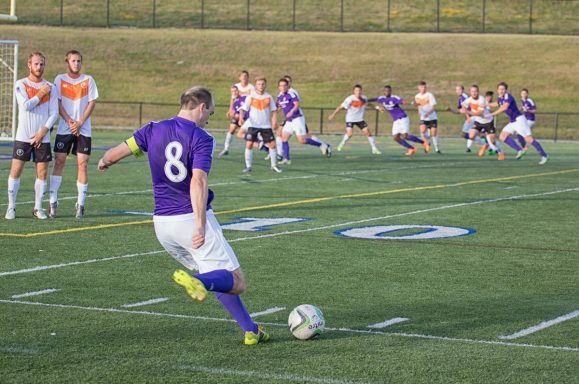 Madison talisman Alex Bradley proved his worth again, heading home a cross and scoring the winner in the 70th minute. Madison sits in last place (7 points out of a playoff spot), but has three games still to play. Toledo grabbed a win and first place in the East in their second game of the week. Colin Armstrong fired home in the 2nd minute after receiving a pass from Kenny Hewitt. That was all that was required of Toledo offensively, despite further attempts in the first half. The second half was spent sitting back and defending, turning away chances and producing good saves from goalkeeper T.J. Tomasso. Oakland County now sits in fourth place, five points behind RWB Adria in second place, although Adria has a game in hand.